A sign of quality and trust for the best products in the market Look for the Hardox® In My Body branded sign if you’re looking for bodies that are hard, tough, cost efficient and made from genuine Hardox® wear plate. This logo on a product verifies that it's been manufactured using Hardox® wear plate and not an inferior imitation. It means that your application represent a first-class product that delivers unsurpassed wear resistance and impact strength. My Inner Strenx® is a program for manufacturers who possess the drive to make the best possible products using Strenx® performance steel. It’s also a way for operators and end users to identify producers and products made with superior steel and quality-controlled production techniques for their demanding applications. Roadwest uses the whole Hardox® and Strenx® range. Sizes ranging from 3.2 mm to 10 mm thickness, to ensure maximum strength and minimum wear. 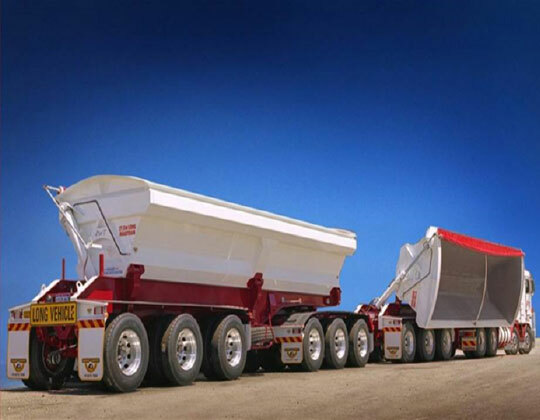 Their "Bowl" Triaxle body is manufactured from completely Hardox 450 wear plate, giving it high strength and minimum wear. Darren Kennett – General Magager at Roadwest says: the key benefits of using Hardox® are its strength and durability. Or fill in the form beside and we will contact you! Use if country is fixed. Delete Country dropdown list. Set field mapping in the processing. Only use fixed SFDC country formats. Add the status value that should be updated. Exact match with SFDC Campaign value.